If you’ve been following my blog lately, you know I’ve been running lots all over the world. The traveling has been amazing, seeing the world on my own two feet, but after all the running around it sure feels nice to be back in Ashland. My RRR 100 blog will be up soon, but as my muscles recover from that last long slog, I’m gearing up for a race of a completely different kind: The 2nd Annual Enchanted Forest Wine Run, a race that I put on with my wife Krista, our friend Marge and Krista’s folks Deb and Bob. I loved designing the course. Let’s just say that my love of hills really came out during course construction and last year’s runners are still talking about it! We never wanted to have an easy route as all of the race directors are runners who love chugging up hills and we happily accept the reputation of being a strenuous run! Its awesome to see people emailing us with questions about their first trail race and it feels like we are doing what we set out to do: inspire people to get out in the woods and play on the trails. 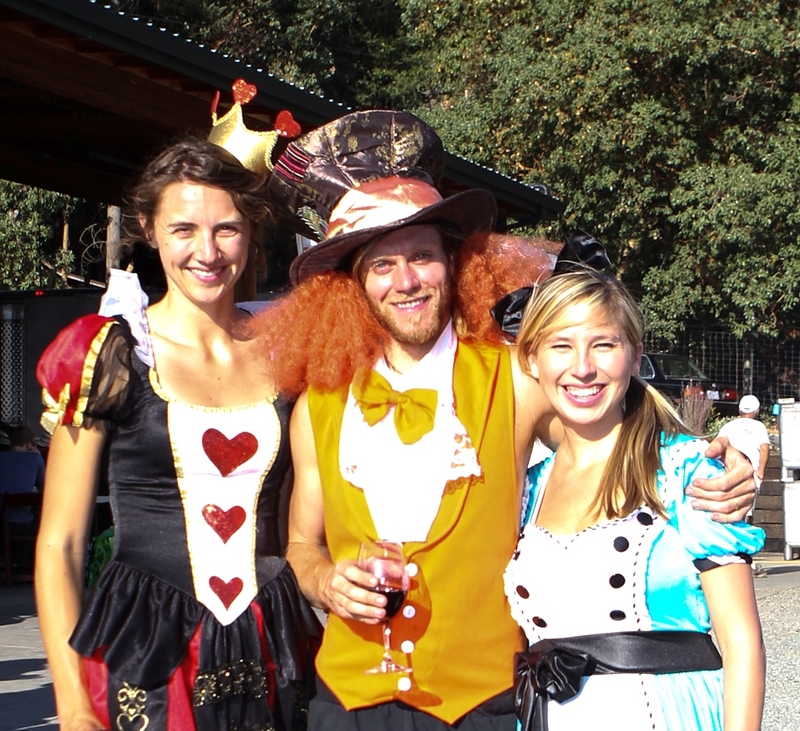 I can’t wait for race day when I get to don the infamous mad hatter outfit and run all over helping dial things in. 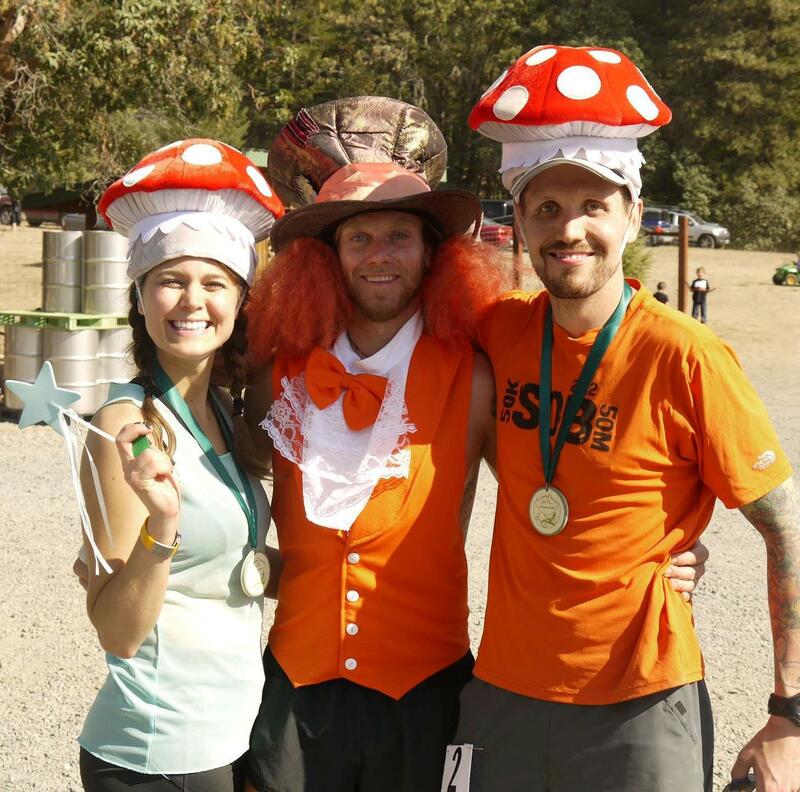 Our race focuses on giving out awards for having fun like our “Best Fairy” costume contest and for finding “Magic Mushrooms” hidden out on the course. We encourage all levels and ages with a half marathon, 5K, and 1/4M kids run. To even get your littlest ones started out on the trails, the most “Spirited Active Family” will win a Bob Running Stroller. Be ready to be awarded for having a good time with more awesome prizes & swag from The North Face, Natura, Ashland Springs Hotel, UtrAspire, Rogue Valley Runners, and Injinji. 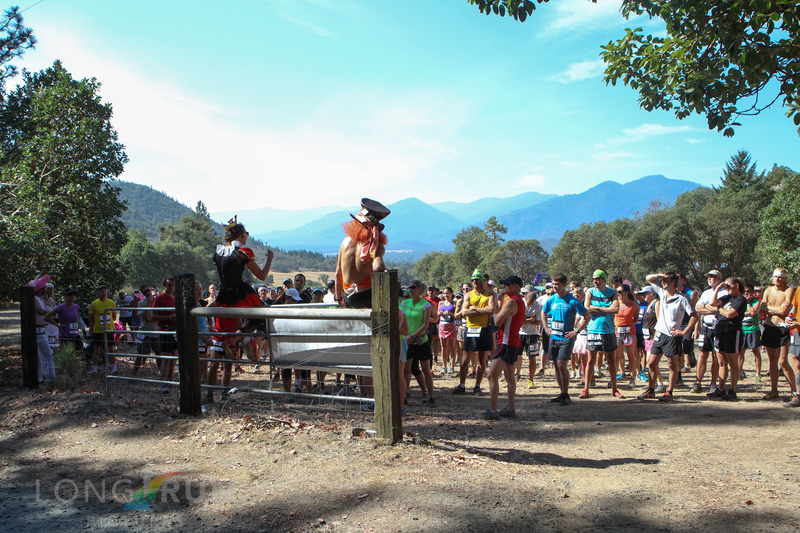 Out on the course, our aid stations are each sponsored by delicious local food & drinks. You’ll find Noble Coffee Roasting cold brew, Wooldridge Creek wine, and Zorba Chocolate. And on top of that, VFuel gels will keep you going strong. At the finish line, you’ll ease into recovery with Therapeutic Associates Physical Therapy and Natura Health Products. New this year, there will be camping the night before the race at Wooldridge Creek Winery. The winery will stay open until 7p and Fulcrum Dining will be there to have Friday dinner & Saturday breakfast available for purchase. I’ll be there with Krista & Marjorie – it’s sure to be a good time. If you want to run, volunteer or just show up and cheer for the runners coming in, check out our website for more details : thewinerun.com . I hope you find yourself out our way, with local food, bluegrass, wine, and trails…it’s a race not to be missed! Peace, 1love and don’t forget that little T$ is going to be dressed to impress! Looks beautiful! 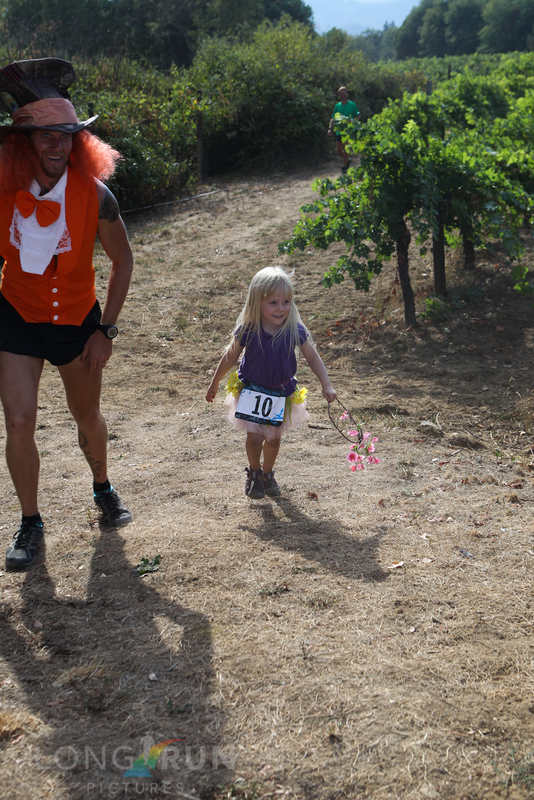 I loved putting on races when lived in Oregon, it’s just so inspiring and entertaining! And I loved having people coming over and sharing their day with us…Enjoy! Wish I was close-by! It will be a fun day! Oregon is a special place. If I wasn’t running UROC, I would most certainly Fly over to come to your race, Hopefully you have a 3rd annual race next year? Look forward to hear about your travels with the family and all the racing you do. Many blessings to you and all your loved ones and a successful Enchanted Forest Wine Run race. I hope you have a blast at UROC! Looks like a good time in a beautiful spot. We’ll continue to have our wine run and would love to have you enjoy our trails some year.